Bethany Brown is a composer and pianist from Arizona. A graduate of Arizona State University's Herberger Institute for Design and the Arts with concurrent degrees in Music Composition and Filmmaking Practices, Bethany has composed for large chamber ensembles to documentaries and short films. At ASU, Bethany studied piano with Dr. Caio Pagano for three years. Her primary composition teachers included Dr. Jody Rockmaker, Dr. James DeMars, Dr. Rodney Rogers, and Dr. Kotoka Suzuki, with whom she completed her honors thesis/music capstone piece, titled "PLACE" for string orchestra, based on the techniques of spectralism. "PLACE" was premiered on Bethany's senior recital in April 2016. Bethany was accepted as a composition participant at the Talis International Festival & Academy in Saas-Fee, Switzerland in July 2015, where her piano quintet "Philosophical Melancholia" was premiered. Bethany was also commissioned to write music to accompany the silent film, The Cabinet of Dr. Caligari, that was premiered as a special event of the Saas-Fee Film Festival/Talis Festival in Switzerland. Bethany was again commissioned to write music for a silent film for the Saas-Fee Film Festival/Talis Festival for the 2016 summer season. Bethany previously held a full-time position as the Manager of Education, Youth and Community Programs for Arizona Musicfest, before moving to Los Angeles in November 2017 to work on the YouTube show "Good Mythical Morning" with Rhett and Link. Bethany’s works have premiered at ASU Composition Recitals and at “Opus,” an annual concert presented at the Phoenix Art Museum by the ASU student chapter of the Society of Composers, in addition to being featured on various doctoral solo recitals, festivals, and her own solo senior recital. Recently, Bethany's piano works "Four Character Pieces" were featured on a concert given by pianist Joseph Hauer in New Jersey. While at ASU, Bethany also had the opportunity to have her string quartets “Restless” and “Before the Storm” read by the Juilliard String Quartet and the St. Lawrence String Quartet, respectively. "Before the Storm" was chosen for publication in the 2014-2015 edition of ASU's Lux Undergraduate Creative Review, and was recorded at Blue Door Studios. Bethany continually seeks opportunities to collaborate with other talented musicians, composers and artists. In addition to many other collaborations while at ASU, Bethany was the assistant director and videographer for "Of Leto," a thesis musical by colleague Alexander Tom that premiered in November 2015. During the summer of 2014, Bethany completed a film internship in New York, where she is credited as Associate Producer and acted as music consultant for Jessica Hester's (of Hesterhouse Productions) short film, The Long Walk to Forever, based off of the Kurt Vonnegut story of the same name; spent a month in Sitka, Alaska working as a counselor for middle school and high school students at the Sitka Fine Arts Camp; and participated as a student ambassador in the Kakehashi Project, an all-expense paid 10-day study tour of Japan. In 2015, Bethany worked in Santa Maria on pre-production for a feature film, and provided music consultation for a short film. Bethany also enjoys writing, filmmaking, and acting. In 2010, Bethany was the first place nationwide winner of the National Road Safety Foundation’s “Drive to Life” scriptwriting contest, where she produced her script into a commercial in New York with Mood Creations. 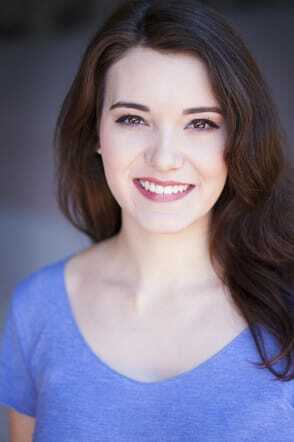 As an actress, Bethany is represented by the Deborah Maddox Agency in Scottsdale, Arizona. Contact Bethany to learn more, commission a work, or say hi!